A great actor can play anyone, even if it means playing two characters that seem similar in some respects but are actually the opposite of each other in big and small ways. I’ve come up with a list of 10 actors who have pulled off this feat. This post was inspired by a comment by my friend O Poderoso Chofer, another excellent blogger. He’s awesome, and I really appreciate this idea because I’ve had a lot of fun writing this article. Al Pacino is no stranger to playing cops and robbers. But two roles seems to mirror each other particularly well. 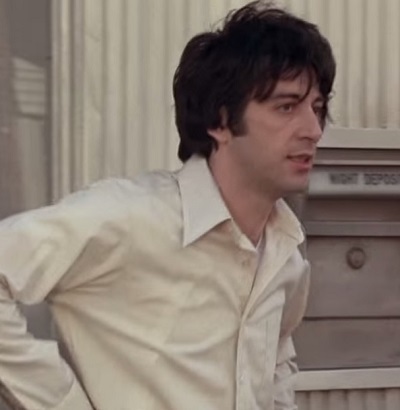 In Dog Day Afternoon, he plays a young man named Sonny Wortzik who tries to rob a bank, but everything goes wrong and he winds up getting arrested while trying to escape at the airport. In Heat, he plays a veteran cop named Vincent Hanna who is obsessed with catching some criminals in the act of robbing a bank. He almost does, but they get away, so he ends up chasing them down at the airport. Both characters have some serious relationship issues. One is trying to rob a bank to get money to help his lover and save their relationship. The other is so focused on catching the bad guys that his personal life suffers. Sadly, their personal lives don’t have happy endings, but for different reasons. Chris Evans transformed from a self-absorbed sycophant to a selfless soldier in a few short years. His role as Johnny Storm (Human Torch) in Fantastic Four (2005) and its sequel was grating and obnoxious. He always had to be the center of attention and he was usually getting into trouble and messing things up for his teammates. All that changed when he donned a new uniform to play Steve Rogers (Captain America) in the superb Captain America films. Suddenly he was confident and yet tinged with humility and self-sacrifice. He is incredibly likable and a natural leader. Both of these characters are superheroes, but that is basically the only thing they have in common. In The Avengers, his arguments with Tony Stark highlight the differences between his two characters. All the words Rogers uses to denigrate Stark could easily be used to describe Storm. Helena Bonham Carter played two very different queens in 2010. First she played one with a big head who is always shouting orders and threats in a performance so over the top that I find it hard to believe anyone took her seriously. Then later that year she played a wonderfully kind woman who didn’t even aspire to be queen, but she just loved her husband and never raised her voice to anyone, as far as I remember. The Queen of Hearts and the Queen of England couldn’t be more dissimilar in these two films. The Queen of England is soft-spoken and polite to everyone she meets, even when she doesn’t particularly like them. She is the picture of a humble monarch. The other character carries the title of queen, but she wields her power as a weapon and rarely treats anyone with respect. Jeff Bridges is one of the most versatile actors ever, which makes his presence on this list no big surprise. I could have gone with several of his opposing roles, but I settled on this pair because I love Starman so much. 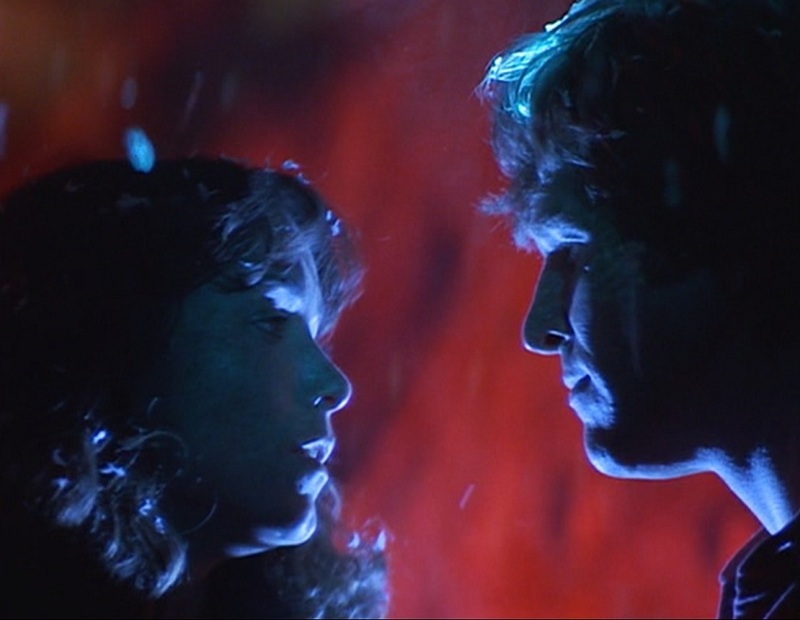 In Starman, he plays an alien seeking to learn about humanity and then to return to his home planet. In K-Pax he is a doctor at a mental institution who is trying to convince a man (who has the same goals as Bridges’ character in Starman) that he is insane and needs psychiatric treatment. I think K-Pax is a better film because of Bridges’s presence. Knowing that he once played an alien in Starman makes it both ironic and fitting that he should be the one to psychoanalyze the “alien” in K-Pax. The Living Daylights is one of my favorite James Bond films, and Goldeneye is a ton of fun, too. So it’s pretty wild to see Joe Don Baker in both of them playing such opposite characters. In The Living Daylights, he plays the villainous Brad Whitaker, an arms dealer who Bond eventually tracks down and kills. In Goldeneye, he takes on the role of comic relief as CIA agent Jack Wade. He goes from trying to manipulate and kill Bond to trying to help him. He’s great as a villain and a hero. And it’s pretty cool that he got to do these roles in the first Bond film for two different actors. Johnny Depp has been Tim Burton’s go-to guy for just about all of his movies in recent years. And two of his roles in Burton’s films have some interesting connections. 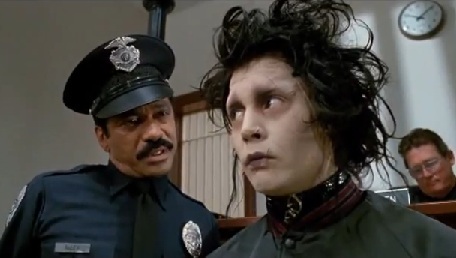 Edward Scissorhands is about an incomplete man who has been hidden away from civilization for many years. He looks vicious on the outside, but he’s really kind and gentle in his heart. Sweeney Todd is about a man who was wrongfully accused of a crime and imprisoned for many years. When he returns, he takes on the persona of an honest man, but he is secretly filled with a burning desire for revenge and murder. It’s intriguing to note how similar these two characters’ origin stories are and yet how different are their resulting personalities. Even Ferris Bueller can’t win them all. Bueller loves sticking it to people in authority. He outwits his principal at every turn, all in the name of having fun. And he always comes out on top in every situation. The tables turn on him in Election. This time, Matthew Broderick plays a teacher who sees the female version of Ferris Bueller always getting her way. He ineffectually tries to take her down, but all of his efforts fail, and he’s reduced to the role of the principal in Ferris Bueller’s Day Off. It’s fitting that Broderick took on the role of Jim McAllister in Election because he kind of needed to be taken down a notch after his seemingly effortless victory as a high schooler more than a decade earlier. In American Gigolo, Richard Gere plays a narcissistic male prostitute named Julian Kaye, who has expensive tastes. He gets into trouble with the law, but eventually gets rescued by a woman who he has fallen in love with. In Pretty Woman, the tables turn and he plays a lonely rich businessman named Edward Lewis, though he still retains his expensive tastes. He meets a female prostitute on the street one night and he helps her out. They fall in love, and he winds up “rescuing” her at the end. Gere pulls off both sides of this coin successfully. One character is completely full of himself while the other has some pretty major self-confidence issues. They both have to work out their issues and move from opposite extremes to a more moderate kind of man before they can find resolution. Sharlto Copley had a lead role in Neill Blomkamp’s first and third films. He played Wikus van de Merwe, a human who slowly turns into an alien in District 9. And then he did the reverse in Chappie, playing a robot that gains consciousness and slowly learns what it means to be human. The characters both go through a transformation into a new body by the end, but the point is that one is losing his humanity while the other is gaining his. Also, one loses his family while the other gains a surrogate family. 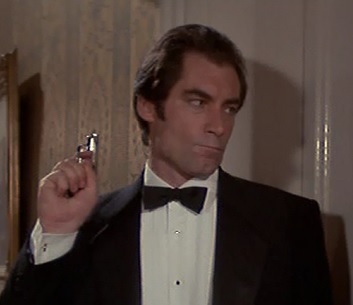 In Timothy Dalton’s second and final James Bond film, Licence to Kill, the British spy infiltrates a South American drug dealer’s organization in order to covertly bring down his whole operation from the inside. In The Rocketeer, he plays a Nazi spy named Neville Sinclair, who infiltrates 1930s Hollywood in order to gather intelligence and weapons to destroy the United States from the inside. From hero to villain in two short years, but a dangerous spy in both cases. It’s crazy to see how actors can find new twists on old roles they’ve done before. I’m sure they were all aware that they were stepping into roles that were the opposite of (and yet connected to) previous roles that they were famous for. I think that makes their performances all the more entertaining. If you think of any other opposite yet related roles I didn’t mention, feel free to share them in a comment. This entry was posted in Random Stuff and tagged action movies, actors, al pacino, chris evans, comedy, films, fun, james bond, jeff bridges, johnny depp, matthew broderick, movie review, movies, richard gere, science fiction, timothy dalton. Bookmark the permalink. Fun post. #8 works well for me. I’m think of Daniel Day-Lewis. The hero as Lincoln and anti-hero as Bill the Butcher in Gangs of New York…. Heh. I’m glad to see that I’m not the only one who made the Chris Evans connection between FF and CA. 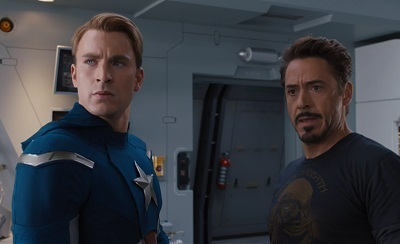 I often like to mess with people by suggesting that the two characters do a buddy film, with Evans playing both roles. That really confuses people. I couldn’t believe how well he pulled off the role of Captain America when I first saw that movie. I definitely like his stoic character better than his goofy one. I like both characters. Sure, Johnny Storm is egocentric but Evans played him perfectly. He was the best part of the first FF movie. Thank you for taking the time to let me know how much you enjoyed my article and for even reposting it! You’re very kind. 🙂 🙂 Haha I’m very glad!!!!!!!! Thank you!!! Keep going!!! I didn’t mean Copley as the director ahaha my mistake. It’s fun how some directors really like working with the same actor(s) in their films, like James Cameron and Michael Biehn in the ’80s or Christopher Nolan and Michael Caine. I haven’t seen District 9 since it first came out. I had a similar reaction to you the first time I saw it. I was kind of disgusted by it, especially by the people who eat the aliens like cannibals. But I can’t deny it’s got a unique visual style and a lot of interesting ideas that it explores. I wonder if they’ll ever make a sequel.